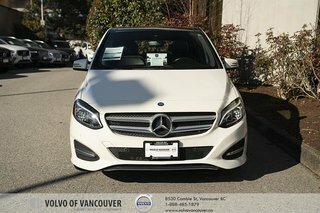 Proving that small can be stylish and sporty, our award-winning, One-Owner 2016 Mercedes-Benz B250 4MATIC Sports Tourer is fantastic in Calcite White! Powered by a TurboCharged 2.0 Litre 4 Cylinder that generates 208hp and is connected to a lightning-fast 7 Speed double clutch automatic transmission. Rocket to 100kmph in under seven seconds and enjoy stability in even less than ideal road conditions with All Wheel Drive. This incredible hatchback was made for your active lifestyle while yielding 7.5L/100km. A favorite among drivers and critics alike, our B250 is beautiful inside and out. Practicality and keen attention to detail have made the cabin a haven of refinement and comfort! You'll love the huge sunroof, high seating position and plenty of cargo space thanks to split-folding rear seats. Settle in to supportive heated leather seats, set your destination in the full-colour navigation, and crank up the audio system with CD, Bluetooth, and USB connection. Then grip the leather-wrapped multi-function steering wheel and enjoy this ride! You'll drive confidently knowing that state-of-the-art safety systems including a backup camera are on board to help you avoid and manage challenging driving situations. 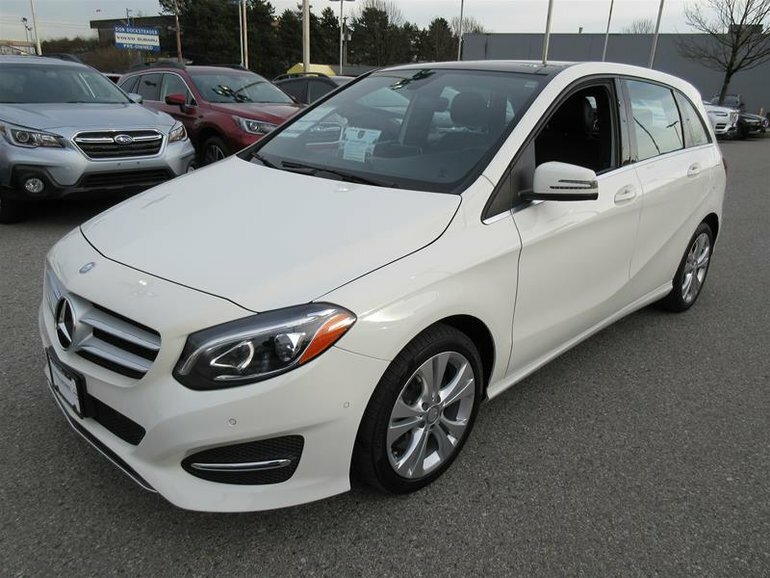 This is a brilliant blend of performance, efficiency, utility and style that you must see for yourself! Print this page and call us Now... We Know You Will Enjoy Your Test Drive Towards Ownership! Our advertised price includes a $495 Documentation Fee. No additional fees or surprises when you are ready to purchase. We offer financing options for most of our quality Pre-Owned Vehicles. 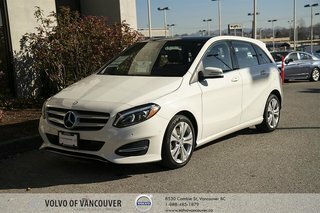 Interested in the 2016 Mercedes-Benz B250 4MATIC Sports Tourer ?